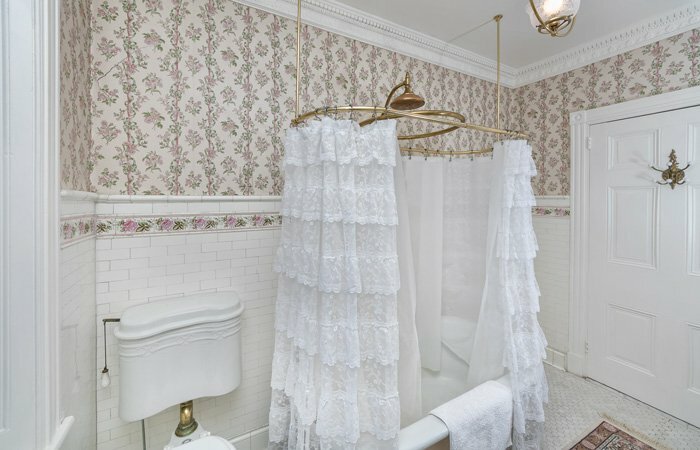 Flora's Fancy overflows with softness and serenity. 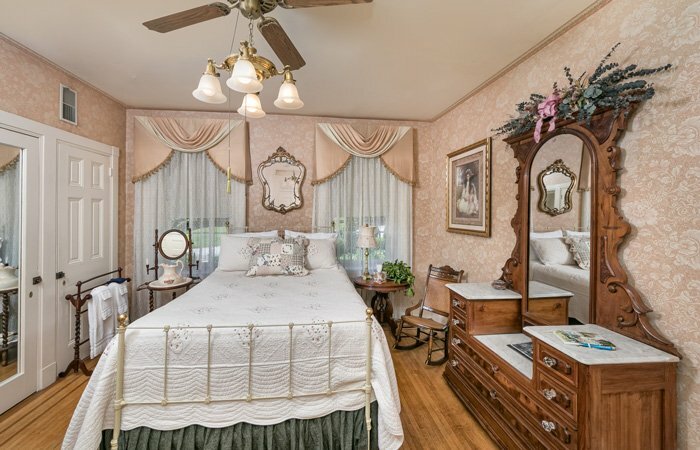 Decorated in muted peach colors and featuring a white iron Victorian bed, you can just picture the Emig daughters giggling and whispering playfully at bedtime! A wall of closets suggests this may have been where several of the seven girls slept. A large ornate dresser with marble top and comfortable sofa and coffee table make this room the perfect place to kick off your shoes and forget the world outside. 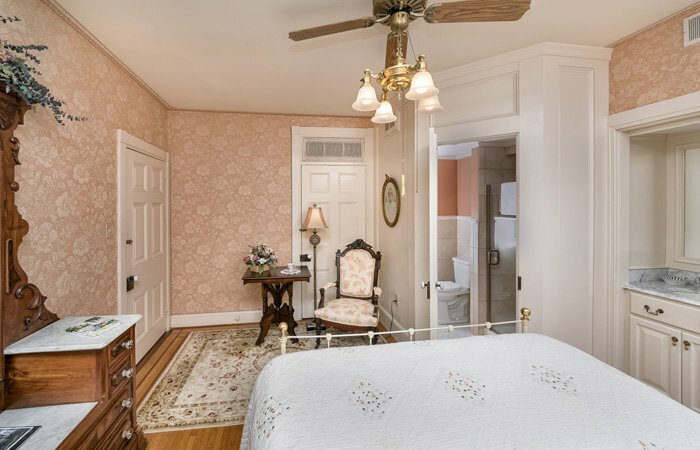 Flora's has a private ensuite bathroom and is located at the rear of the house overlooking the Court yard and gardens. Very Quiet!